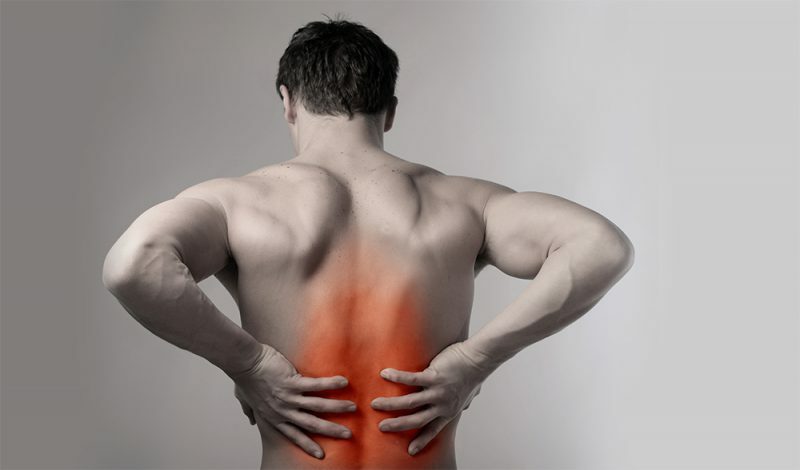 Do you Experience Back Pain After Working Out? I don’t know about you but I love those workouts when you finish and you think to yourself, “Yep, I crushed it!” But for me, then the inevitable would happen. Later that night or the next morning I would feel my back start to tighten and before long that low-grade nagging pain would return in my lower back. When I was younger the pain would stick around for maybe a day. However, as I got older the pain would start to last for three or four days up to even a week. The tipping point for me personally was about eight years ago when I herniated my L5/S1 disc. Once I recovered from that injury, I decided it was time to start being more proactive toward my nagging low back pain. Here are five things I began incorporating into my workouts on a regular basis. 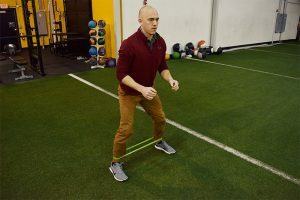 I started incorporating these five things in my workouts on a regular basis and I am happy to say my back pain has significantly reduced and my recovery between workouts is back to where it was 15 years ago. Why it works: Having a mobile and flexibile thoracic spine (upper back) is pivotal to low back health. If our upper back is tight, forces will transfer down into the low back which may overload the small joints of the back causing soreness and pain. Lay on your side with your upper leg bent to 90 degrees at the hip and knee and propped up on a foam roller. The hand of your down arm should rest across your top knee. With your top arm, reach back toward the ground trying to get your shoulder blade to rest on the floor. 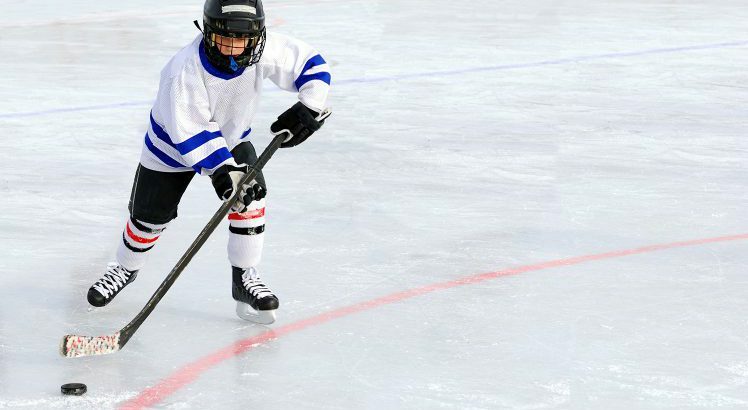 Make sure your top knee does not lift off the roller. Hold for 5 seconds and repeat 10 times each direction. Why it works: Hip tightness, especially in the back of the hip, is without a doubt the most common restriction we see in people with low back pain. Like the upper back, if your hips are tight and don’t move well, the force from the lift gets moved up into your low back. 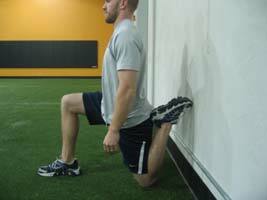 This stretch is designed to target that specific area. Starting on your hands and knees, bring one leg in front and across the other like you were folding your legs. From there, sit back letting your other leg side straight which will stretch your other hip. Hold for 15 seconds and repeat 5 times. Why it works: For lifts like squats and deadlifts, you need an appropriate amount of calf and hamstring flexibility so that when you’re at the bottom of your lift your pelvis and spine can be positioned correctly. This exercise is one that I also like to use to determine if someone is ready to do those activities. If you cannot touch your toes in this position, we are not starting those lifts. Start with placing the balls of your feet up on a couple inch block (25lb plates or books work well). With your legs straight, slowly reach down and touch your toes. If you can not touch your toes, go as far as you can then slightly bend your knees to achieve the desired distance. Breathing out while reaching down can also give you a little more reach as well. Hold for 5 seconds and repeat 10 times. Why it works: Unlike the first three exercises that were focusing mostly on flexibility and mobility, this exercise is specifically designed to get the most important muscle in your body prepared and ready for lifting. Your glutes are the cornerstone of having a solid foundation and platform to lift from. The more awake and ready they are for exercise, the less tension force will be taken through your low back muscles to lift yourself back into an upright position. 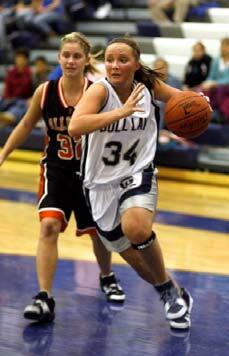 With a lateral band around your ankles, get into an athletic, ready position. Slowly step out to the side then slowly bring your trail leg back into the starting position. Do not let your trail foot drag on the ground. Repeat for 2 sets of 15 steps each direction. 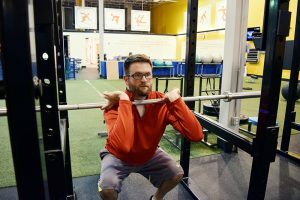 Why it works: Squatting is an exercise that has huge benefits. Increasing your heart rate, elevating your muscle building hormones and developing strength in multiple muscle groups are all key benefits of squatting. However, the back squat is not for everyone’s body. If you lack flexibility in certain areas or foundational strength, then loading a back squat will increase stress to the joints in your lower back. When the load is switched to the front, your body naturally becomes more upright and positions your spine in a way that does not excessively load your vertebral joints. Begin standing tall with feet hip width, pointing forward and a barbell resting across the shoulders. Hands can either hold the barbell in a cross face position or a clean grip position. Squat down until the thighs are parallel with the floor, pause and then return to the original position. Remember, your chest should maintain a relative tallness and your heels should remain in contact with the ground. Nagging lower back pain after working out cannot just affect your ability to perform your next workout. If left unaddressed, that nagging pain could turn into something more severe. 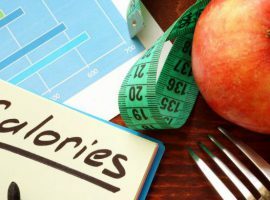 If you are like I was, give these 5 things a try for a good month and see if you aren’t feeling better! If after a month you are still having pain after your workouts, give us a call and let’s figure out what else needs to be done to get you feeling better! 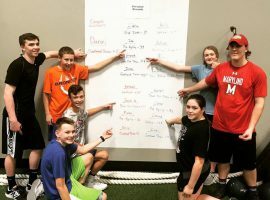 This entry was posted in Blogs, Physical Therapy, Advice and tagged stretches, back, pain, travis, manners, Exercises on May 4, 2017 by Athletes' Training Center. 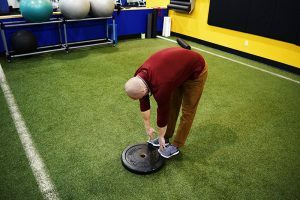 Unfortunately, what people do not know or realize is there are common exercises and approaches that many perform at the gym that may set people up for an injury. 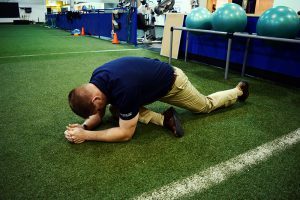 In this blog, I want to address some of the common questions I get from patients as well as talk about some of the common training errors I see every day at the gym. 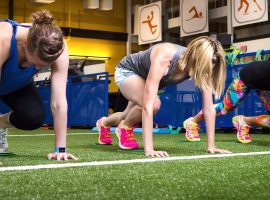 This topic is far too long to try to compact into one article so lets start with talking about the DON’TS at the gym. Stay tuned for part 2! This “don’t” applies mostly to lat pull downs and military shoulder press. Going behind the head places the shoulders in a fully externally rotated position and puts the ligaments in the front of the shoulder on a significant, potentially damaging stretch. In addition, in this position, the rotator cuff is not designed to produce force and asking it to do so could cause damage to the cuff especially if heavier loads are being lifted. Dips are a staple in all gyms, and is a great exercise to develop the chest and the triceps. However, this exercise is at the expense of the labrum in the shoulders. The labrum is a cartilaginous ring that deeps our shoulder sockets and provides a stability bumper in our shoulders. As the shoulder moves into extreme degrees of extension during the dip, the upper arm bone is shoved upward and then rotates from a backward to forward position on the rim of the socket. This shearing and rotational force can create a tear and detachment of the labrum from the socket. An injury otherwise known as a SLAP tear. Does this always happen? No, but this exercise has to be high on your high risk, low benefit filter when selecting it as an exercise. A lot of people do not realize that there is an incorrect way to do a bench press or a push-up. The key point is not to flare your elbows away from your side. The right position as you lower the bar or your body is to keep the upper arms at no more than a 45-degree angle to the torso. Flared elbows (closer to 90-degrees) has been shown to increase stress through the shoulder joint, the ligaments on the front part of the shoulder, and the subscapularis muscle (part of the rotator cuff). This “don’t” makes the list because of the fatiguability of the rotator cuff. The rotator cuff works directly against the larger and more powerful deltoid to keep the ball of the shoulder centered in the socket. The rotator cuff fatigues well before the deltoid does which puts excessive strain on the rotator cuff and the labrum. Having a “shoulder day” where you are doing 3-4 or more exercises for the shoulders will exhaust your rotator cuff, and if you push through the fatigue to get your reps in, you will likely develop a problem. I am completely perplexed that this exercise still exists and is still being taught by personal trainers, physical therapists, and strength coaches. If I said to you, “I am going to give you an exercise that pinches your rotator cuff in between 2 hard bones and have you do it repeatedly,” would you do it? That is exactly what an upright row does. In this lift, your shoulder is maximally internally rotated which positions a prominent aspect of your arm bone right under the bottom of your shoulder blade. In between these two is your rotator cuff. Trying to raise your arm in an upright row will impinge your cuff eventually leading to tendinitis or a tear. I could go on and on with more “don’ts” but I think the above hits the major errors I see and answers a majority of the questions I get in the clinic. I hope this was helpful and look forward to Part 2 – Shoulder Do’s very soon. 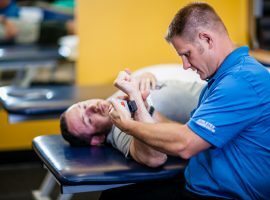 Do you experience shoulder pain? It is time to start getting on the road of recovery! Come in for an evaluation today. 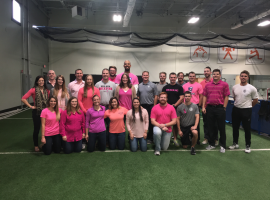 This entry was posted in Blogs, Physical Therapy, Sports Performance, Advice and tagged saver, shoulder, travis, manners, injury, tips on March 10, 2017 by Athletes' Training Center. Rehab Report – Tommy Armstrong Jr.
What do we take away from Nebraska Huskers Tommy Armstrong’s violent helmet-to-turf collision during the Nebraska Ohio State game? 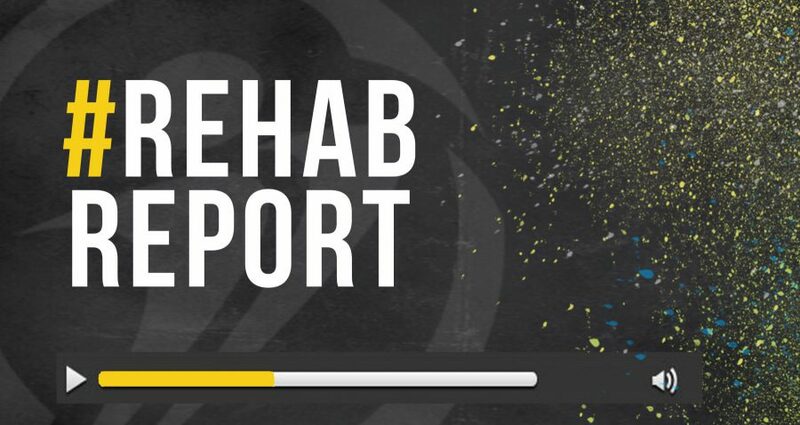 Listen to the Rehab Report on AMSPORTS590 as Travis Manners and the Omaha Sports Insider team discuss his injury and also breakdown the proper protocol for a concussion injury. Click below to listen now. This entry was posted in News and tagged rehab, husker, travis, manners, tommy, armstrong, omaha, sports, insider, huskers, report, football, injury, Concussion on November 8, 2016 by Athletes' Training Center.